Green pepper is obtained by harvesting the fully grown but still unripe berries. It is mild and slightly sweet. 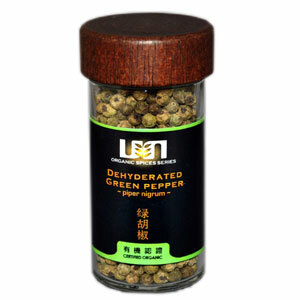 Green pepper goes well with grilled fish, chicken, duck and other meat dishes.